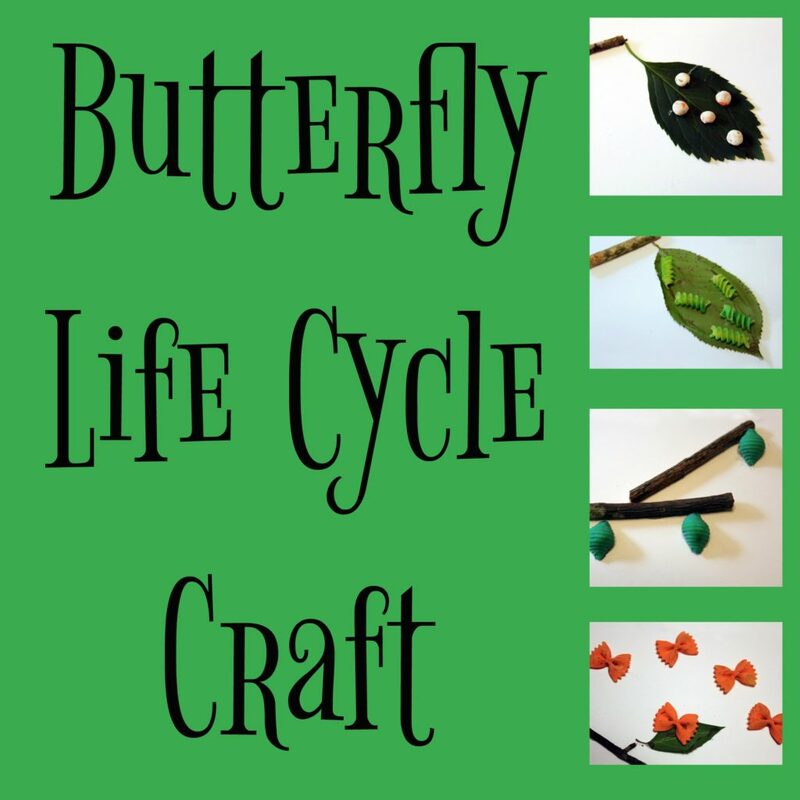 This is a fun craft to teach the life cycle of a butterfly, and is adaptable for a variety of ages. To prepare this project, you can make a background in several different ways. You can have your kids collect twigs and leaves, or you can have them cut out twigs and leaves out of construction paper. 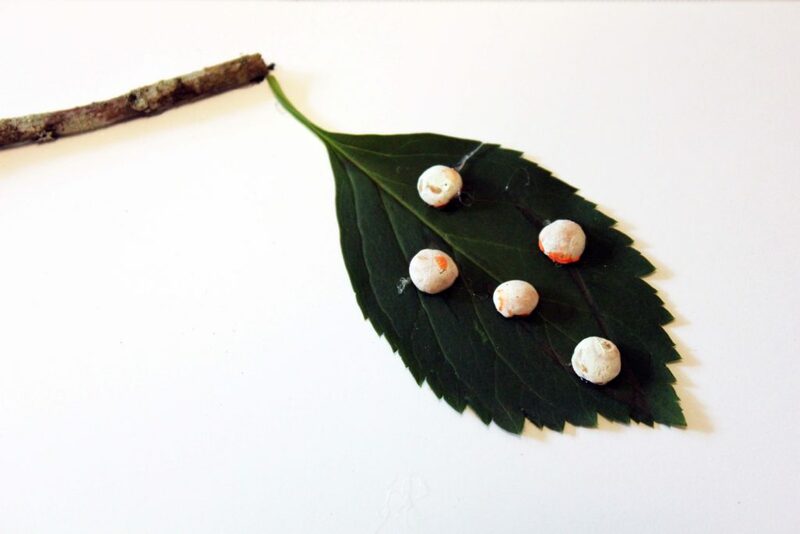 Another option is to simply draw or paint twigs and leaves. For younger children, you may want to prepare most of this part, or carefully guide them where to glue paper leaves. We used long sheets of paper, but you can also use a paper plate or large cutout circle (with lines dividing it into four sections), to diagram the life cycle. Next, paint your pasta. You can decide on the colors that you want to use. We tried to mimic the true colors in the life cycle of a monarch butterfly, but you can do them however you like. 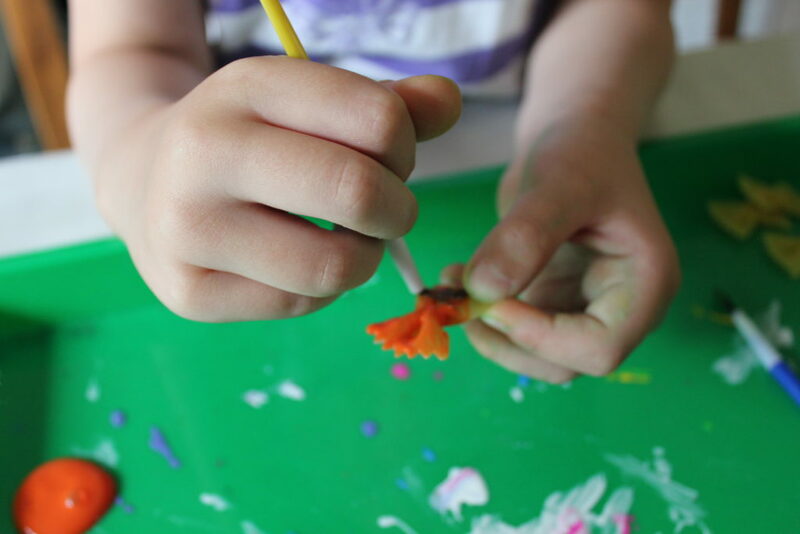 Depending on the age of the children doing this project, you can do some research about what different butterflies look like in different stages of their life cycles and make the stages into accurate representations. Alternately, you could do the life cycle of a moth, substituting “cocoons” in the place of the “chrysalis” stage. Note – you may want to encourage your kids not use an excessive amount of paint, as the pasta will become soggy and take much longer to dry. Once the pasta is dry, you can attach your pasta to the corresponding stage of the life cycle. Lentils were the eggs on our leaves. 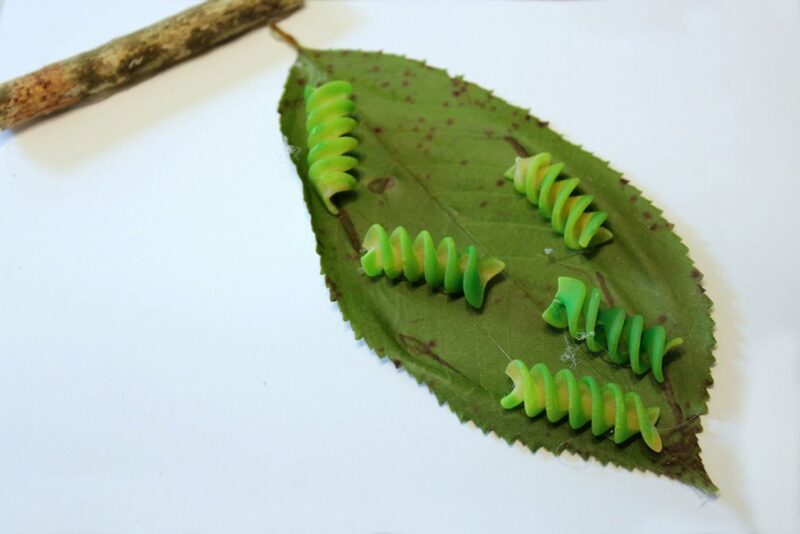 Light green Rotini pasta were our caterpillars. 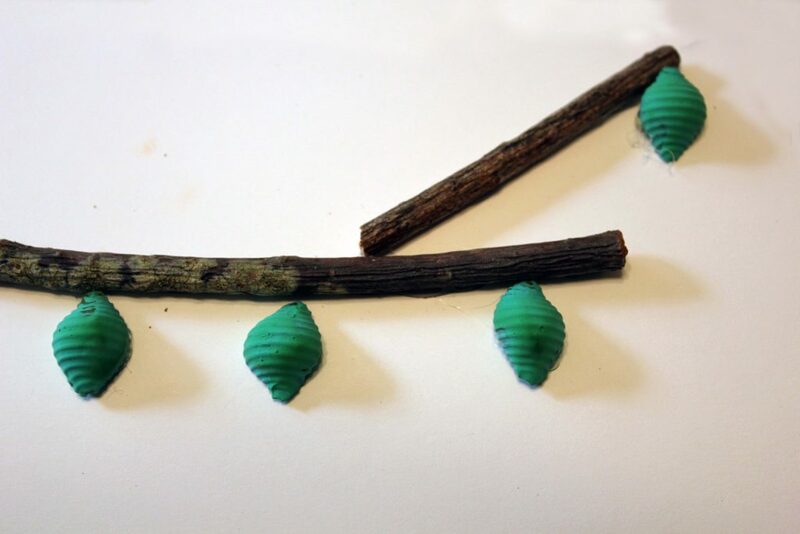 Our green pasta shells became the chrysalis hanging from the tree branches. 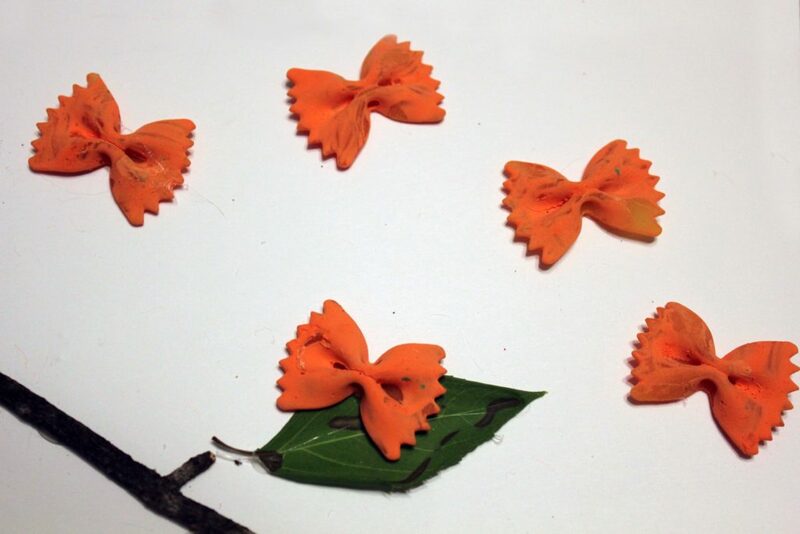 Lastly, the Farfalle pasta became the butterflies. You can draw antenna on them if you like. 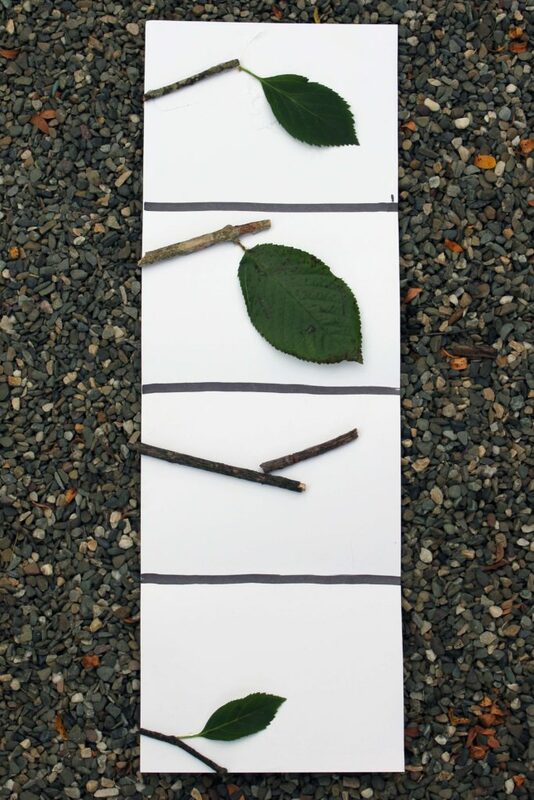 Finally, you can write in each stage of the life cycle to complete the project. Have fun and be creative! This is a good craft for both enjoying doing some artwork but also learning about metamorphosis.